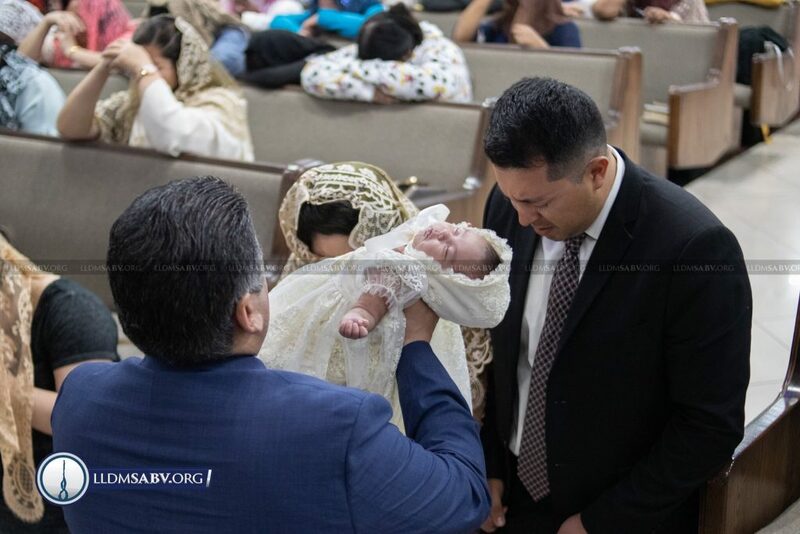 SAN ANTONIO – Brother Jahaziel Coronado and Sister Zury Coronado carry their infant, Jahdai Coronado, to the altar after our Sunday school sermon. Minister D. L. Rey Villarreal raises the newborn in prayer and asks for the Lord’s blessing with the authority bestowed upon him by the Apostle of Jesus Christ, Naason Joaquin Garcia. May God bless the Coronado family!